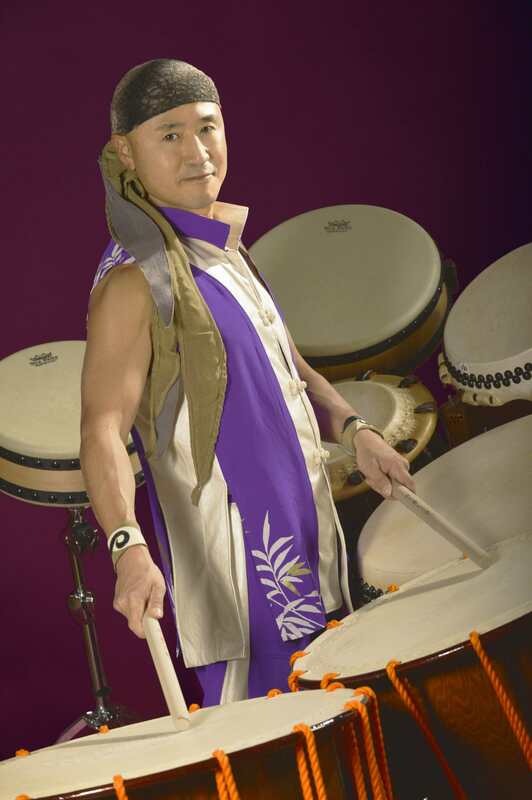 TORRANCE — Master taiko drummer Hiro Hayashida will present a concert with special guests on Friday, Oct. 18, at 8 p.m. at the James R. Armstrong Theatre, 3330 Civic Center Dr. near Torrance Boulevard and Madrona Avenue in Torrance. Hayashida was a member of the world-renowned taiko group Kodo for eight years and now leads a professional taiko group, Zi-Pang, in Japan. He teaches taiko throughout Japan, Southeast Asia and the United States. Recently he performed in France with a youth taiko group, Super Junior Taiko. Hayashida is also a leading figure in performing the katsugi oke-daiko (shoulder-slung taiko), having designed oke-daiko models for the Asano Daiko and Remo Drum companies. – Fredo Ortiz, a percussionist with the Beastie Boys. Also appearing in the concert will be the Taiko Center of Los Angeles, directed by Rev. Tom Kurai. Tickets are $30 general, $25 for seniors and students, $20 for groups of 10 or more. For reservations, call (310) 781-7171. For more information, email [email protected] or visit www.taikocenter.com.